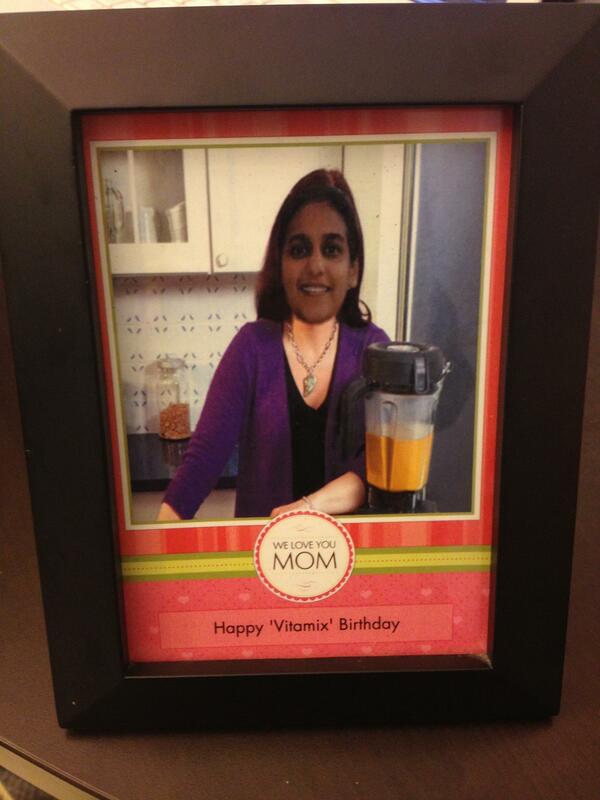 Over a year ago, my family invested in a Vitamix blender for my mom’s birthday gift. I say “birthday gift” even though it came a month and a half late and was really for the entire family, but we passed it off as her birthday gift either way. This is common ritual in our family. A few days before the person’s birthday, he/she chooses what they want online, we order it through Amazon prime (holla) and theme the cards/smaller birthday items around whatever will come in a few weeks time. I photo shopped my moms head onto Ina Garten standing next to a vitamix and framed the card for her gift (courtesy of Walgreens custom cards aka the best discovery our family has ever made). Anyways, the Vitamix opened the door for many exciting food options. Green smoothies were less chunky (and less gross), soups were smoother, fruit sorbet was everywhere, etc. One of my favorite things we now made was almond milk. No one in my family is lactose intolerant so we never really purchased almond milk, but the Vitamix came with a nut straining bag specifically for almond and other nut milks. Do you guys know how to make almond milk? With a powerful blender it’s surprisingly easy and tastes 100x better than any store bought version i’ve tried. Simply blend 1 cup almonds and 3 cups water and TADAA, almond milk. 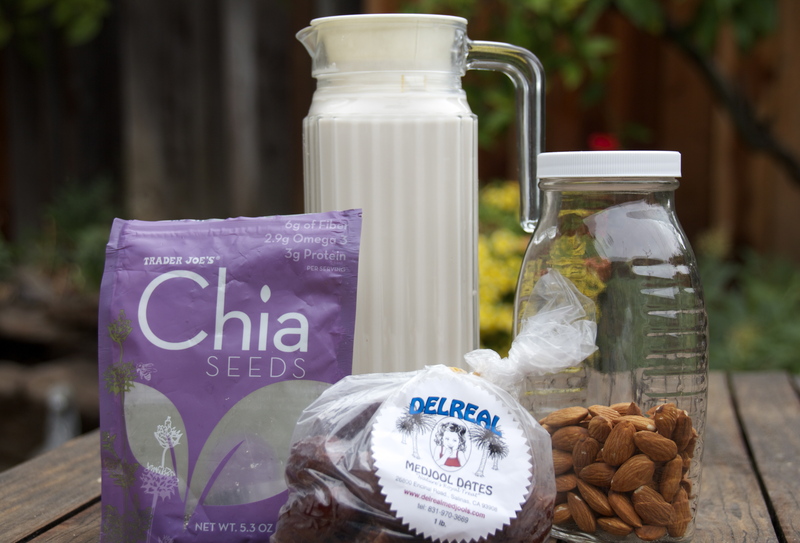 You of course have to strain the milk and have the option to soak the almonds overnight for more nutritional benefits (soaking nuts removes toxins and makes the nutrients easier for your body to absorb, read here), but it really is a simple process. 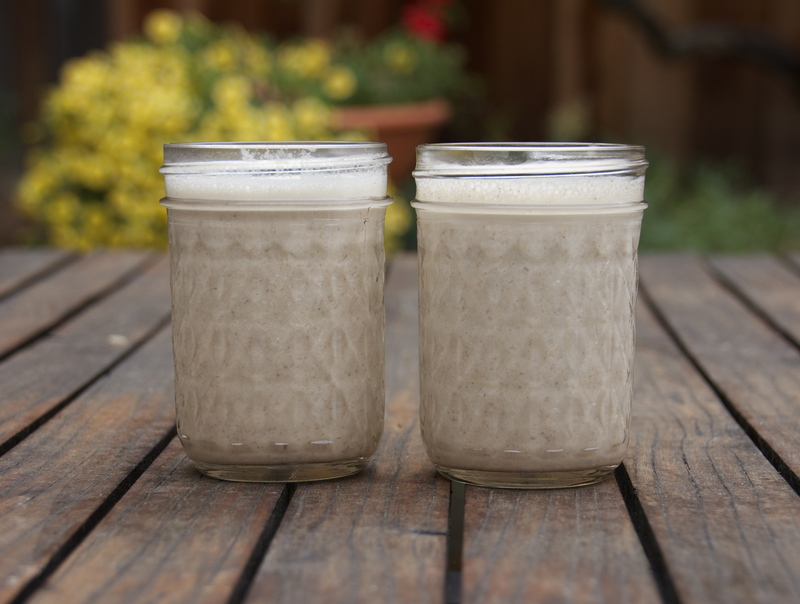 I tried store bought almond milk after I had the home-made version and there is a whole world of difference. I find that home made almond milk actually tastes like almonds, unlike many boxed versions. Anyways, if you were debating whether or not to purchase a Vitamix, add “to make almond milk” on your list of pro’s. I made this shake for myself and my grandparents this morning, so I blended the chia seeds into the smoothie instead of leaving them whole. There are numerous articles talking about the benefits of chia seeds, and when they are blended and broken down they are barely detectable. I actually like the jelly-like coating and bite of the whole seed, but blending is always an option. When I gave my grandparents the shake to try, they called it “first class”, which is a common way of complementing foods in India, so score! 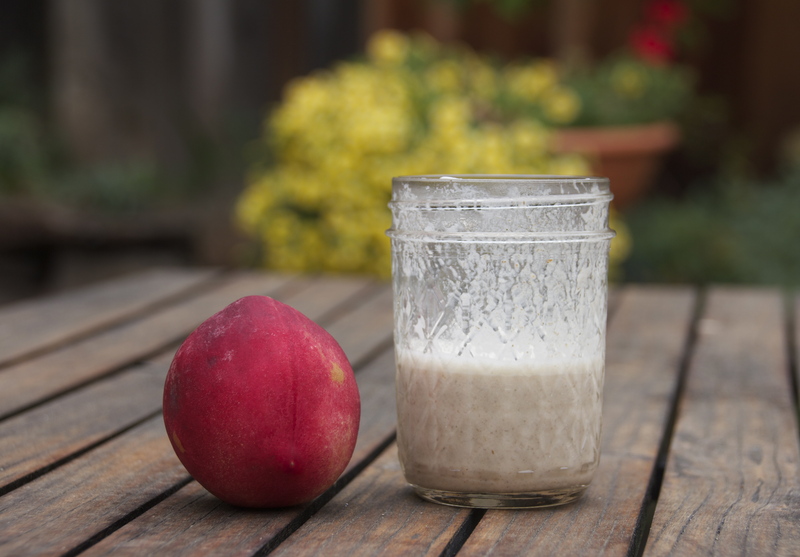 I had a small glass of this smoothie and a peach (and a cookie, I admit) for breakfast, and I am still full 4 hours later. So give this simple shake a try! Amazing. Love putting smily face after “blend” instruction. Also, thought you’d appreciate this giveaway.